This year is the sixth year of the world-renowned global luxury Spa Traveller Wellness Awards (rebranded from The Spa Traveller Awards), which have become a benchmark for excellence within the spa and wellness industry! The Spa Traveller Wellness Awards 2016 features additional health and wellness categories to reflect our ‘Health in your hands’ – lifestyle and wellness mantra and commitment to promoting throughout the United Kingdom and globally. 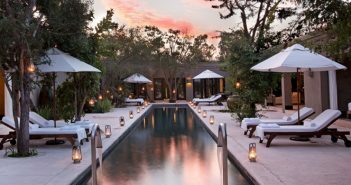 The Spa Traveller Wellness Awards accepts nominations from Spa Traveller Wellness readers and the spas, wellness centres, destinations, health, fitness and product brands. Each year votes flood in from the four corners of the world and the announcement of winner’s is featured throughout the UK and globally in local, regional and national publications, providing global coverage to millions of spa and wellness readers. Spa-and wellness-goers and readers are allowed to submit one vote each, per category. Winners of ALL categories will be revealed online in December, 2016 during ILTM Cannes (December 2016). Note: all voters are required to submit their first and last name, and email address to enable us the verify the authenticity of the vote. An automated ‘Thank you for voting’ email is sent for each vote submitted. Nominations open until September 15, 2016. Votes may be cast at any time during the nomination process and continue until the closing date: November 30, 2016. Voting opened on June 30, 2016 and will run until November 30, 2016. New Nominations for ALL awards categories can be made until September 15, 2016. Winning spas are announced in December, 2016 and are allowed to purchase a licence that allows them the right to use the ‘Spa Traveller Wellness Awards 2016 Winner’ logo in their marketing communications, plus have the option to purchase crystal winners’ trophies and certificate of recognition and for display in their spas, wellness, health and ftness centres, hotel, resort, retreat and reception areas. All Gold Wellness Standard partners receive an automatic licence that allows them the right to use the ‘Spa Traveller Wellness Awards 2016 Winner’ logo in marketing communications for one year. Winners of The Spa Traveller Wellness Awards in the UK and other countries have all benefited from the prestige of featuring our logo in their spas, wellness centres, reception areas, hotel lobbies, website/s, press ads and branding and signage outside the spa.